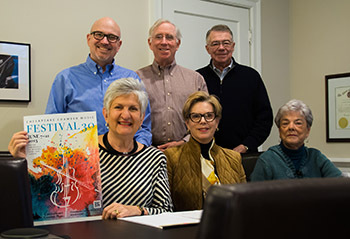 Pictured is Chesapeake Chamber Music Festival Committee showcasing this year’s Festival 30 poster, created by graphic designer Joanne Shipley. 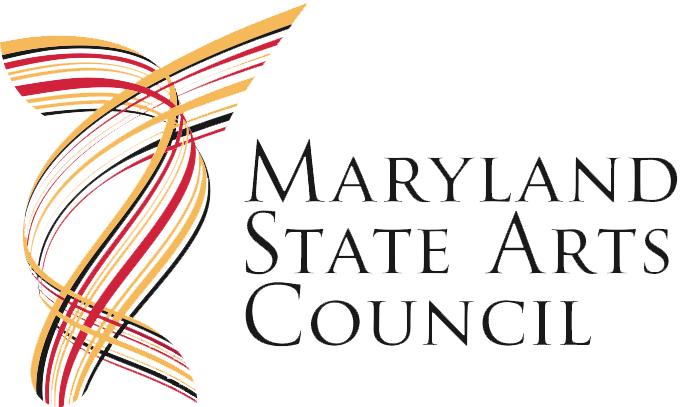 The 30th Annual Chesapeake Chamber Music (CCM) Festival will be held in Easton, MD from June 7 through June 21, 2015. Pictured front row, left to right are Festival chairperson Bernice Michael and committee members Carolyn Rugg, Mary Riedlin. Pictured back row are Don Buxton, director of CCM; Mike Bracy, president of CCM, and Bill Geoghegan, Director of Communications. 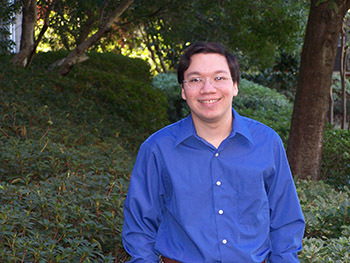 In honor of the 30th Festival, Artistic Directors J. Lawrie Bloom and Marcie Rosen have commissioned 30-year old award-winning composer Roger Zare to write a piece for piano, oboe, clarinet and cello which will be featured at the Chesapeake Chamber Music Festival’s Avalon Theatre concert on June 19. The 30th Annual Chesapeake Chamber Music (CCM) Festival will be held in Easton, MD from June 7 through June 21, 2015. The Festival, which has grown from a single concert to two weeks of concerts, Artist Showcases, open rehearsals, and the Angels Concert, features both classical and contemporary chamber music, with innovative programming in a range of venues reflecting the Eastern Shore’s lifestyle. This year’s Festival season kicks off with a celebratory event, “Celebrate 30,” on Friday, June 5 at the Tidewater Inn in Easton. Guests will enjoy a cabaret-style evening with live music, hors d’oeuvres and spirits. On Sunday, the Festival begins its two-week run, offering six concerts, five Artist Showcases, and two rehearsals open to the public at no charge. The 13 events are held in various Eastern Shore locations. 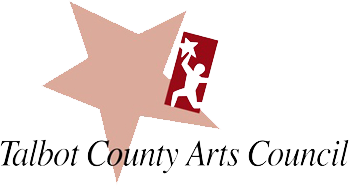 Venues include the state-of-the-art performing space at the Oxford Community Center, and the Talbot Country Club, as well as such returning favorites as The Avalon Theatre, the Academy Art Museum, historic St. Paul’s Church in Centreville, Trinity Cathedral in Easton, and St. Michaels Middle-High School Performing Arts Auditorium. In honor of the 30th Festival, Artistic Directors J. Lawrie Bloom and Marcie Rosen have commissioned 30-year old award-winning composer Roger Zare to write a piece for piano, oboe, clarinet and cello which will be featured at the Avalon Theatre concert on June 19. Zare’s works have been performed on five continents and the “New York Times” praised his “enviable grasp of orchestration.” Twenty-one artists will perform this year, including 18 returning artists, along with some newcomers to the Eastern Shore Festival scene. Among the new artists are two extraordinary cellists, Peter Stumpf and Edward Arron, and renowned violist Rebecca Albers. Generous financial support from corporate, public and private benefactors enables Chesapeake Chamber Music to offer affordable tickets for Festival concerts and recitals; open rehearsals are free to the general public. Tickets go on sale in April 2015. For additional information, visit www.ChesapeakeChamberMusic.org or call 410 819-0380.